While entrepreneurship can be incredibly rewarding, it can also be extremely stressful. The good news is founder burnout is avoidable and curable. This post will walk you through how to treat early founder burnout symptoms. But first, you’ll need to fully understand what founder burnout is…and the consequences it can have for the future of your company. What is founder burnout? Why is it a big deal? Anyone can feel this way on the job at some point. I know I have felt this way in the past, both as an employee and as a founder. When burnout hits you, you’ll start feeling as if you are running on empty. Founder burnout is just as personal as employee burnout, but the effects can impact more people. The best thing you can do for your business (and psyche) is to avoid founder burnout altogether. If you are in the midst of founder burnout, then you must take meaningful steps to correct course before more damage is done. What are the early symptoms of founder burnout and how can they be treated? Stress is hard to measure, and it can be difficult to notice yourself becoming burned out until it is too late. 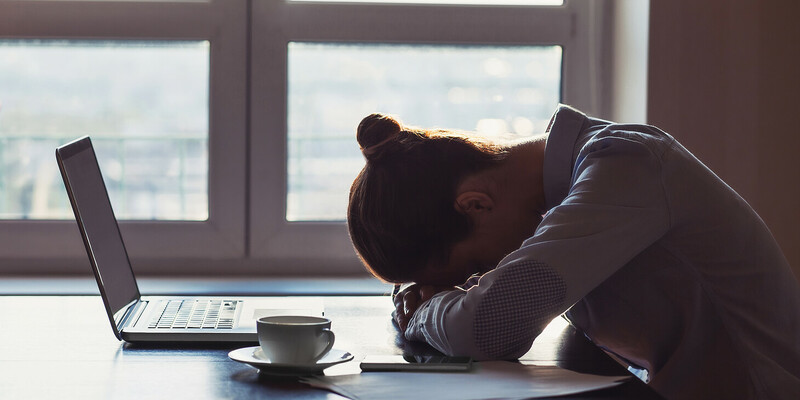 If you’re aware of typical founder burnout symptoms ahead of time, you can detect them earlier and work to reverse course. With work demanding more and more of your time, it becomes easy to neglect aspects of your personal life. Things like eating healthy, sleeping well, spending time with loved ones, or simply spending time on a hobby that matters to you just aren’t getting time and attention anymore. I know the idea of spending time away from work can be stressful on its own when you’re feeling burned out, but you’ve got to make time for it. Spending quality personal time every day can have a huge positive impact on your work day. Plenty of highly successful people can attest to this. Your morning routine should help you prepare for the day ahead in ways that provide energy, inspiration, and focus. Check out Karen Sergeant’s detailed post here on the Redbooth blog on creating effective morning routines to help get your day started off on the right foot. But it’s not just about mornings. The end of the day is probably when you can spend time with your family and friends, or on your own hobbies. It’s also when you have the most control over the quality of your sleep. Jacquelyn Smith and Rachel Gillett share 9 more ways to improve your nighttime routine. As a founder or team leader, you undoubtedly have new issues come up every day. The issues that aren’t dealt with right away can linger in your head until you do something about them or, worse, simply forget them, making matters worse later on. Where to start: Segment your tasks into two lists: One for tasks that can be quickly taken care of, and one for those that require more of your time and energy. For the simpler tasks, employ the two-minute rule: if it will take less than two minutes to get it done, do it immediately. Once you’ve taken care of general “housekeeping chores,” you’ll be able to focus your attention on more important issues. For larger issues that don’t need to be immediately solved, schedule time at the end of the day to analyze the situation and try to figure out a course of action. By then, you’ll have taken care of your other priorities and will be able to focus your energy entirely on the task at hand. After you’ve come up with a plan, shut that laptop and don’t allow yourself to keep ruminating. It’s time to switch gears. Trudging away with the same routine, day after day — it can be draining over time and eventually become a complete bore, even if you started out with a lot of passion for your product or solution. When you become bored with your work, it could be because of your routine, or it could be because you are not pushing yourself hard enough on an interesting goal. No matter how busy you are, remember to take a break once in awhile. Taking 5 to 15 minutes for yourself at least once a day can re-energize you and allow you to come back to your duties with a fresh mindset. Listen to your favorite song or grab a snack from the break room. Do something other than sitting at your desk for hours on end. Your brain will thank you. Reach out to a colleague to see if they need help; try to break a time record (for something simple like checking your email); analyze your performance and see if there’s any way you could have done better. When you stop simply going through the motions, you’ll understand just how valuable your efforts really are. A cloudy mind that stays cloudy days and weeks at a time is strong sign of founder burnout. It should be addressed before it dramatically affects your work. Founders and team leaders need their mental edge to keep their team focused, make good decisions, and execute effectively. Thankfully there are ways you can exercise your brain and make your thought process more responsive…besides drinking more caffeine. Where to start: Find time to clear your mind and stimulate your brain. Perhaps the most popular way to clear your head is through meditation. Though you might not think it possible, there are numerous ways to meditate without leaving your desk. Not only will doing so help clear your mind, but it’s also a good way to break up the previously-mentioned monotony. Consider using a meditation app to help clear your mind during stressful workdays. If sitting still just isn’t for you, check out lively games like QuizUp that give your brain some exercise while supplying a mini-escape at the same time. When it’s all-hands-on-deck, as a leader you probably step up to the plate and do what needs to be done. Even if you’re great at certain things or don’t enjoy doing them, you do them anyway, right? The problems come when this kind of work starts outweighing the work you enjoy and do well. When that happens, it can be overwhelming and inhibit your ability to do your best work. To make matters worse, you may feel the need to work nights, weekends, and even on holidays to keep up. More time spent on work you don’t enjoy, combined with less and less time on yourself, is a surefire recipe for accelerating founder burnout. When you’re running a business, delegating tasks to your employees is essential. It’s the main reason you’ve hired others onto your team in the first place. Delegating tasks benefits everyone involved in your organization. To delegate effectively, don’t simply assign tasks at random. Think of your employees’ strengths and weaknesses within the organization and do your best to assign each task to the best person for the job. Not only will you get the most out of your employees, but you’ll also free up your own schedule, allowing you to focus on the larger issues your organization faces. If you’re dealing with founder burnout, it’s important to know that you’re not alone. Even hugely successful entrepreneurs like Richard Branson have dealt with their fair share of burnout. Find a few people you can talk to when you start to feel the effects of founder burnout. Simply talking to someone who understands your circumstances can be a big help. Have experience with founder burnout or suggestions for treating it? Share your thoughts and ideas in the comments below! Rob is the CEO & co-founder of Hitshop, a done-for-you growth marketing service that uses in-house technology to find traction and scale growth for early stage companies. He's also a born and raised Texan who now calls San Francisco home. Find him on Twitter at @RobMCarpenter where he shares thoughts on growth marketing, process, and entrepreneurship.